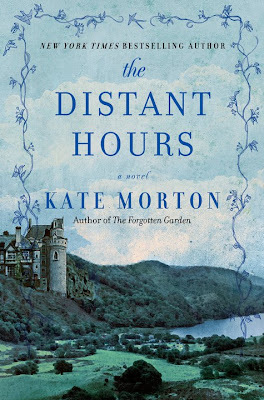 An ancient castle, dark family secrets, obsession, and madness are at the heart of Kate Morton's newest novel, The Distant Hours. For most of their lives, a distance has always existed between Edie Burchill and her mother. Then one day, a letter, lost for decades, mysteriously appears. Edie cannot help but burn with curiosity at her mother's reaction and the secrets of her past. During World War II, Edie's mother, Meredith, was one of thousands of children evacuated from war torn London into the safety of the English countryside and into Millderhurst Castle owned by the Blythe family. There, Juniper Blythe and her twin sisters, Pen and Saffy, and their father Raymond, the author of a classic children's novel, make a home for the displaced girl. Enchanted by the magnificence of the castle and its family, Meredith is enthralled by her new, but temporary circumstances, and falls in love with her surroundings. Decades later, gripped with curiosity of her mother's past, Edie travels to Millderhurst castle and meets the elderly and eccentric Blythe spinsters. Little by little, she discovers the dark secrets that lurk behind the castle walls and the real truth about the distant hours - the not too distant past. The Distant Hours by Kate Morton is a masterful tale that unfolds slowly, one secret at a time, teasing the reader with every turn of the page. The setting itself is compelling – an ancient castle ravaged by time with plenty of secret rooms and passageways. I found all the characters enigmatic, each with their own fascinating story. There's a little of everything in this story - love, betrayal, murder, and tragedy and it all lends a powerful ambience from the start of this fabulous story to the powerful end. Kate Morton writes with detail and deep introspection, making the characters convincing and larger than life. One cannot help but like this story and admire the clever way it unfolds. I could not put this book down and it kept me awake at night as I was eager to read on to discover the next secret. It truly is a beautifully written story. If you like a cozy mystery that involves ancient castles with loads of mystery, this is a must to have on your reading list. The Distant Hours is scheduled for release in early November. A very worthy novel that will be a bestseller! I have no doubt.